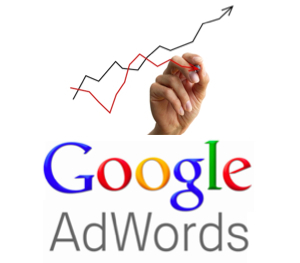 In Google AdWordsTM, the quality and presentation of your ads matter! Whether to complement with your SEO Campaign or as a stand-alone service, Digital Presence Solutions can help structure AdWords campaigns that would best represent your products and/or service offerings. Upon engaging us, we will provide you with a recommendation of how you are able to maximize your AdWords investments based on the results of our in-depth analysis and keyword research utilizing data generated by reputable Web Analytic tools, such as Google’s very own. To maintain eligibility and quality of your Ads, we will carefully review the different factors that would possibly affect the quality of your ads based on Google’s Advertising Policies. We take a proactive approach to maintain the competitiveness of your campaigns, continuously researching for keywords that would possibly increase impressions and CTR. There’s no keeping secrets at DPS! We will give you an access to view your campaign in the Google AdWordsTM dashboard and keep you up to date with the progress of each campaign we are managing for you. Pay-Per-Click model. Part of DPS’ strategy is using structures most suitable for your overall campaign objective, whether it is for increasing brand awareness or increasing your website’s traffic. Precision Targeting. Your Ads can be set up to include and exclude specific geographical locations, keywords, days and/or time of days and so on. This is why, at DPS, we listen to you from day 1! Cost Transparency. The beauty of AdWords is the ability to continue to be in control of your campaign running costs. You deal with Google directly when it comes to paying the ‘clicks’ generated by the Ads, and you only pay us our professional fee for managing your campaigns. No minimum spend. Only you decides how much to spend to run your ads. We will obviously provide you with data that will assist you in making a decision about budget. To find out how we can assist you in strengthening an existing AdWords campaign, or structuring brand new campaigns, please contact us now at +61 2 8973 7488 or contact us and one of our expert online marketers will be in touch.